The French army of the Nineteenth Century is generally considered to have been egalitarian/meritocratic in nature. Indeed, the motto of the French Republic is "Liberte; Egalite; Fraternite". But even after 1789 the French officer class was as class-ridden as ever. French Officers were promoted according to the Laws of 1792, the Loi Soult of 1832 and that of 1855 (which referred primarly to Sub-Officers). 2/3s of Officers were to be promoted according to ability whilst the remainder were promoted on "seniority" (which based on length of service, but was affected by many other social reasons). 4. Volunteers who had influence or favour in a particular regiment. This latter category is most important: research by Prof. William Serman had shown that of those officers who had been promoted from the ranks, the overwhelming majority had enlisted as Volunteers and were certainly not rankers. They fell into two broad catagories: either too poor to pay for a good education or wealthy but not academically gifted to enter a College. They tended to be promoted through the ranks of the Sub Officers as quickly and as decently as possible, often being Commissioned within two years. 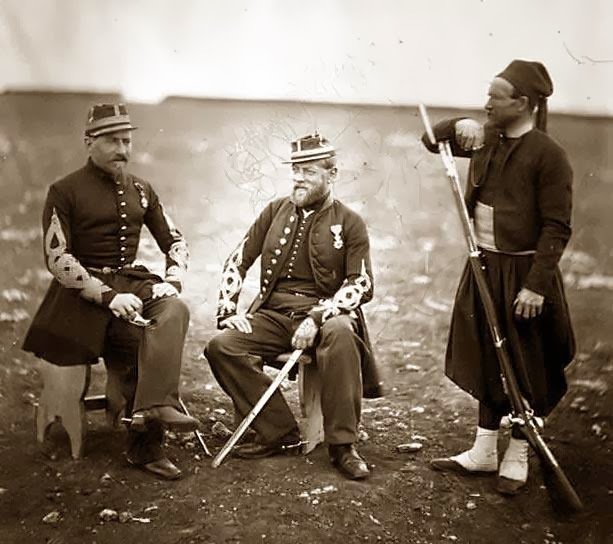 Due to a chronic shortage of Officers at the height of the Crimean War (1853-1856), Napoleon III passed a law changing how Officers were promoted as it allowed a far greater proportion of Sub Officers to be promoted to Sous-Lieutenant then before. Whilst this filled a gap during wartime it had a devastating long term effect on the army. Sub-Officers promoted to Officer tended to be old, on average 35-40. The average age of Sous-Lieutenant, for example, was 18-22. This meant that those newly promoted Sous-Lieutenants did not belong or fit in with their peers. They were also not used to the life of an officer, and in a financial sense were worse off! Promoting from Sergent-Major to Sous-Lieutenant meant the candidate now had to purchase their own uniform; employ their own servant; buy their own meals and even purchase their own coal - all of which had been available gratis as a Sub-Officer! 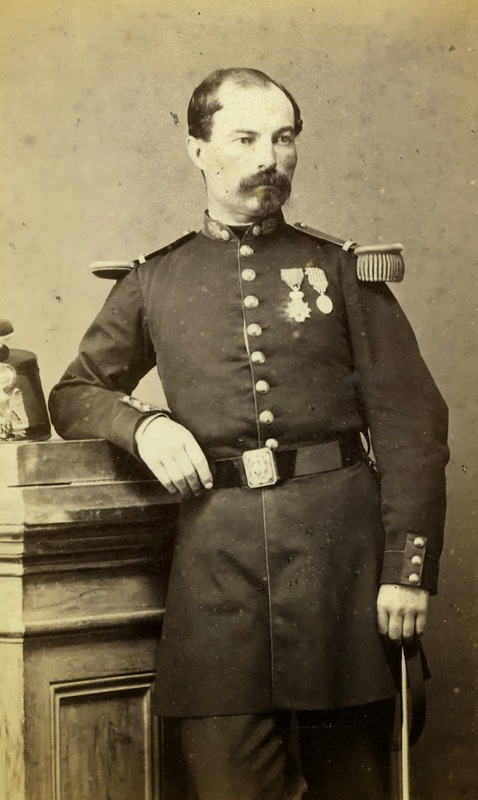 The majority of Sub-Officers promoted from the ranks tended to get no further than Capitaine (Captain) and gravitated toward the more "professional" positions on the Regimental Etat Major (staff) such as Capitaine Adjutant-Major, Capitaine d'Habillment, Tresorier, Quartre-Maitre etc. Non-executive positions which were largley looked down upon by executive officers as being a trade rather than a rank! It also took longer for a promoted Sub-Officer to attain their next rank (often seven to ten years) due to competition from other, younger, officers and a lack of vaccancies amongst the positions on the Etat Major. During the same period, the number of Officers from a "noble" family actually increased, from 6% in 1850 to 11% just after 1870. The Cavalry, naturally, had the highest percentage of "nobles" (16% in 1870) and the Infantry the lowest (5%). All this meant, that by 1870 young, College-trained Officers were in the minority. The officer corps was old and had come up from the ranks, learning soldiers through the school of hard knocks rather than from the Colleges. Furthermore, the Loi 1855 encouraged long-service Sub-Officers to stat with the eagles. This meant there was little opportunity for enthusiastic young men to either have been promoted through the ranks of the Sub-Officers or for those young men who would have rapidly ascended the lower ranks to have become officers. 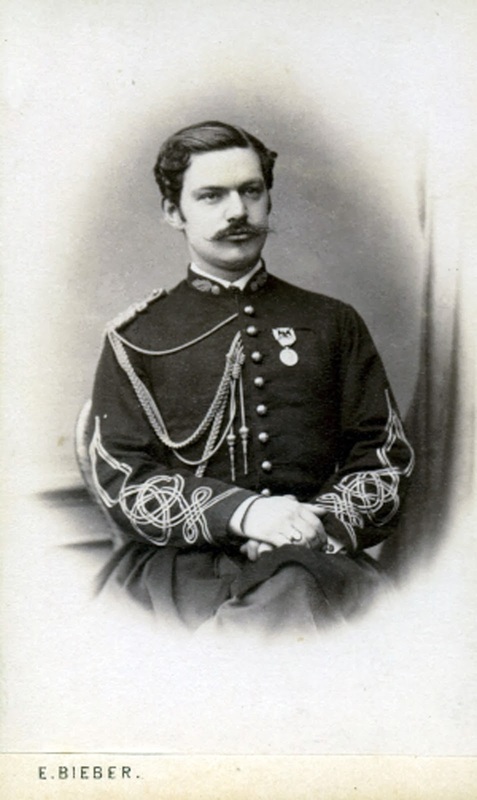 Thus, both Officers and Sub-Officers were old and clapped-out by 1870 and there was little encouragement for conscripts to stay with the Eagles once their seven years were up as their road to promotion was effectively blocked. French Officer's pay did not increase between 1789 and the Loi Soult of 1832. It was generally considered to be an honorarium (much as it was in Britain) and that Officer's were of independent means. The poor pay and low status of an Officer in French society meant that it deterred would-be Officers from the Bourgeois and Upper Classes (but see comment about nobles, above). Pay was raised following the Loi Soult, but it did not respond to trends in society: as France, and especially her middle classes, became more wealthy under the Second Empire, the pay of Officers (and therefore status) fell in proportion. It was considered in 1860 that a Sous-Lieutenant - who would have had to have bene well-educated and attended a militry College - was paid the same wage as an accounts clerk in Paris! Low pay and status meant that many of the brightest graduates from the Ecole Polytechnique or from the Ecole de Metz never joined the army and found far more lucrative jobs in "Civvy Street" working for the Department of Bridges and Roads or on the rapidly expanding railways. The most vied-for rank was that of Capitaine, becuase that was the rank at which an Officer could, just about, live off his pay. 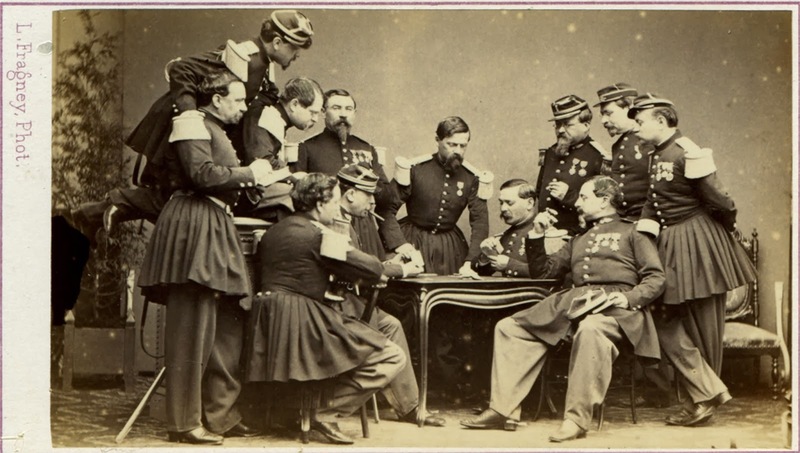 The officer class was strictly hierarchical: each of the ranks dined together and ate according to their pay and status. Thus all the Sous-Lieutenants dined together and ate farely frugally compared to a Captain and would never have sat at the same table as the Colonel. This was in direct contrast to the British army "Officer's Mess" which treated officers as being part of a single group and class (which they tended to be). 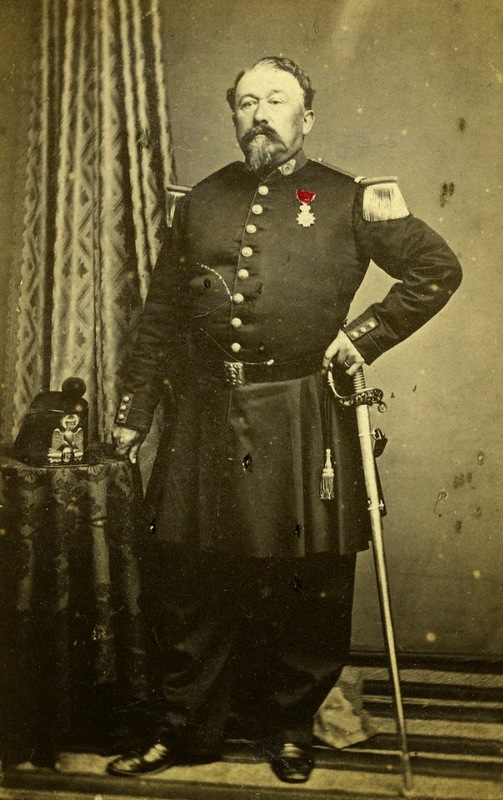 Comte Fleury, Colonel of the Guides - who had joined the army as a "Gentleman Volunteer" after failing to enter St Cyr -imported into France the "Officer's Mess". Initially for the Regiment des Guides but later adopted by all the regiments of the Imperial Guard. In many instances, the mess crockery and silverware were paid for by the Emperor (Empress in the case of the Dragons de l'Imperatrice). This created a greater Esprit du Regiment, greater cohesion amongst the officers and marked out the Guard not only as militarialy but socially superior to the Line. Acknowledge ments: Thanks to M. Jerome Discours for use of his contemporary images. More can be found on his website at: www.http://military-photos.com. So if the average age of Sous-Lieutenant was 18-22, what would the average age of Capitaine be ?